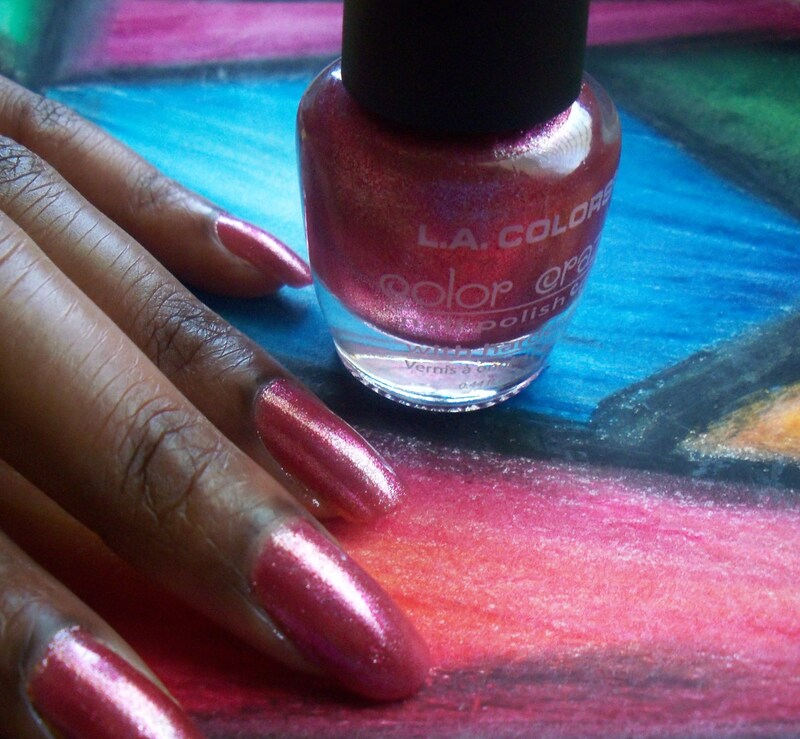 This past week I tried out a few of the colors from L. A. 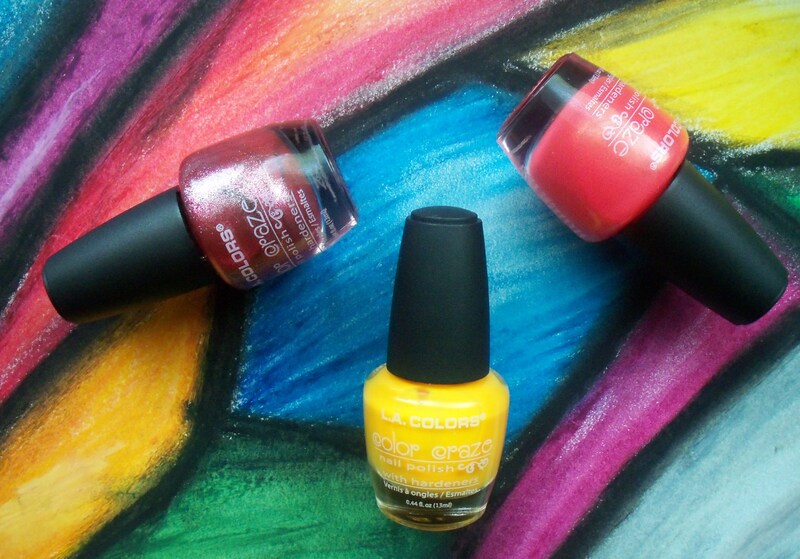 Colors Color Craze Collection. Since I’m crazy for polish and color, they were made for me. First of all, can’t beat that price of a dollar. If you read my other post concerning L.A. Colors, I wasn’t completely enamored by them. Well, that has changed. I do believe that they are my new go to nail color when I am in a rush. The first color I chose to wear is Shock. 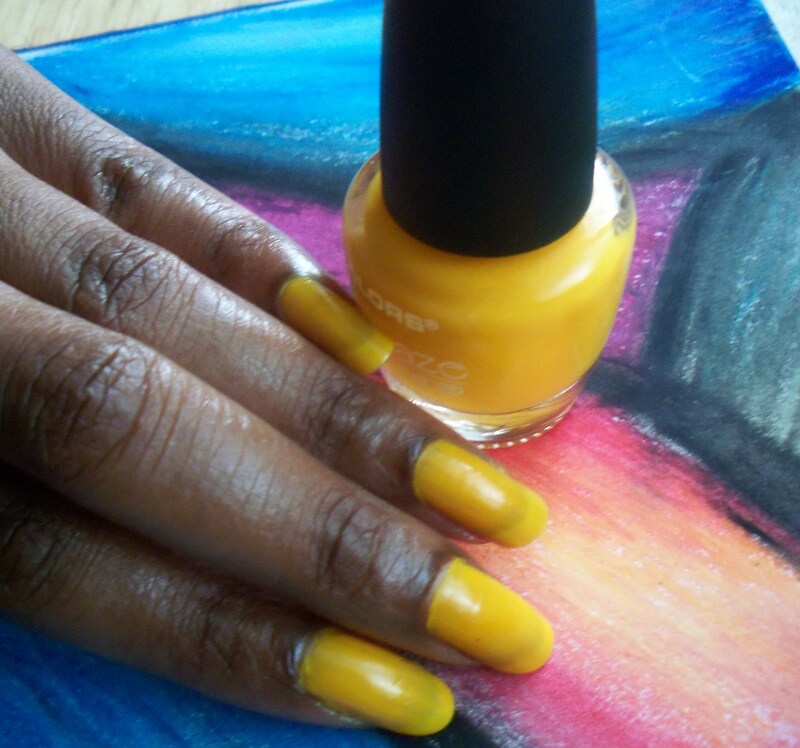 A vibrant , matte yellow, kinda reminds me of a very ripe banana. They weren’t lying with that name. I have never worn something so bright before. Definitely a spring color. I actually ended up liking Shock. What a shock! The next color I tried was Electrified. It is mauve color, with flicks of silver throughout it. 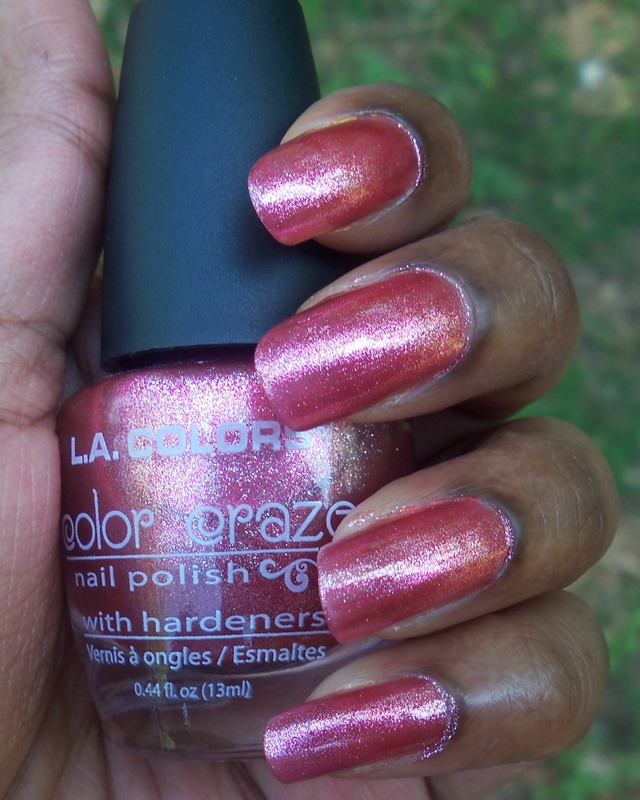 Not quite glitter, not quite shimmer. It suppose it has a metallic finish. Last but not least I tried Magnetic Force. I think this was my fave out of all of them. 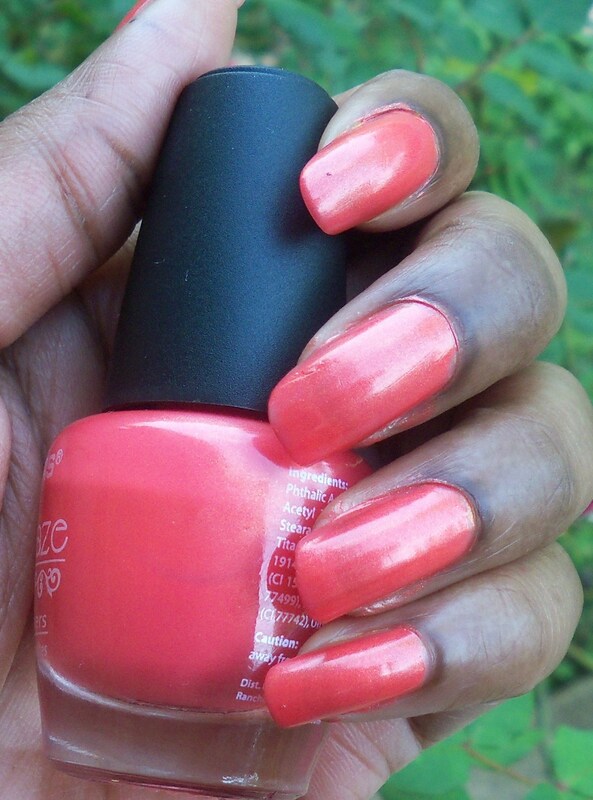 Another matte color, it reminded me of Peach Nehi Soda (remember those!). At first, it didn’t seem to true to the color in the bottle, but in better light it looked fine. Well done L.A. Colors! 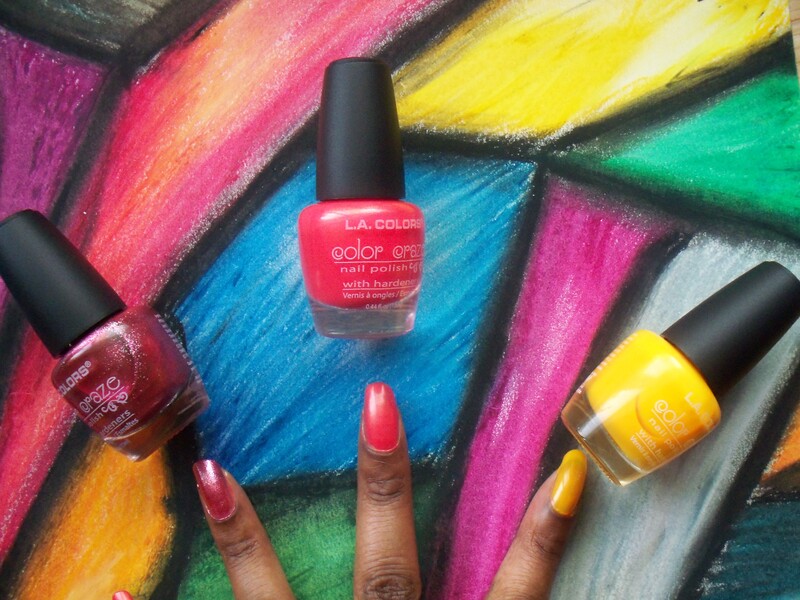 I love the Color Craze Collection. 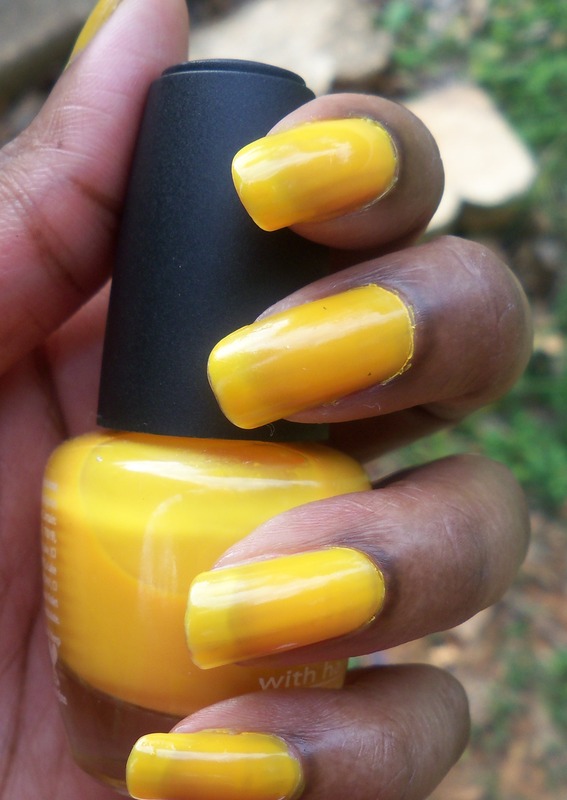 It is affordable, dries fast, and gives you a brilliant pop of color when you want it. Loves it! L.A. Colors definitely nailed it with these cause I sure went crazy for them.